After a morning spent exploring the creepy and spooky Wicklow Gaol and all its enclosing walls, we felt some wide open spaces and a breath of sea air was what was needed for the afternoon – Brittas Bay delivered on all counts. Just about twenty minutes drive from Wicklow town and very easy to find, we paid the 4 Euro to enter the car park and discovered we had the place almost to ourselves. A bit of a surprise on a beautiful sunny day but very welcome – I wasn’t complaining. 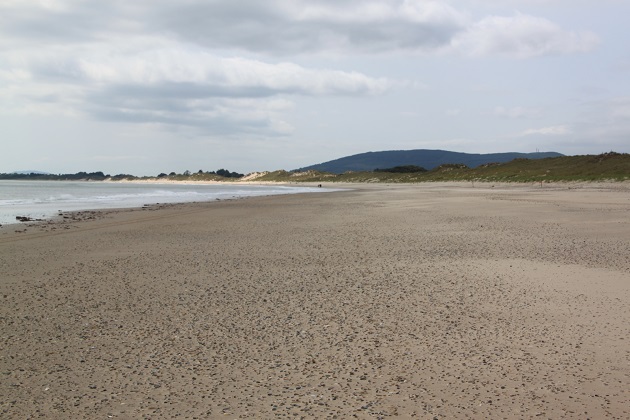 A short walk to the sea and we found ourselves on one of the finest beaches on Ireland’s east coast. 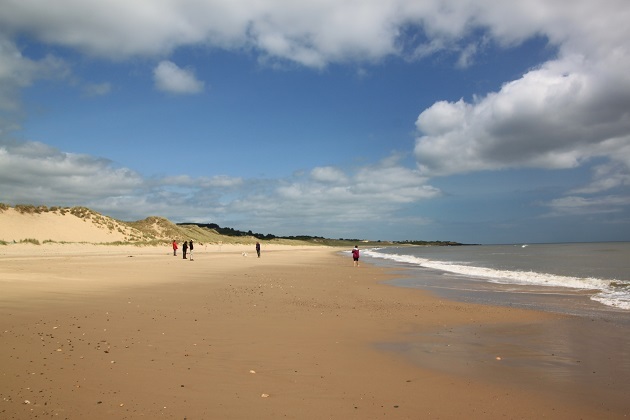 It is just beautiful – a three mile stretch of powdery golden sand, apparently it earns a coveted Blue Flag year after year. They say the beach is popular with locals and can get busy, we didn’t experience this at all. Two lifeguards were on duty but I for one did not feel the need to go in the sea. Bracing was how it looked to me – Son dipped a toe in and confirmed that fact. 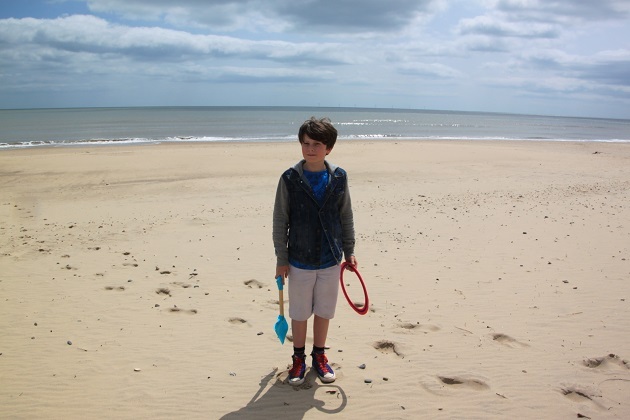 Son found an old bucket and spade lurking in the hidden depths of the boot of our car and brought it along. Much fun was had digging and making sand creations before we walked to the far end of the beach. The dunes behind the sand made for a bit of adventure too. A beautiful spot, we spent a couple of hours here just soaking up that sea air – just what we needed after a morning in jail. It was a gorgeous place to have a stroll by the sea – the blue skies made it even better Suzanne! Absolutely George – this was just what we needed to blow off those cobwebs and creepiness!! Looks lovely. I adore those Irish beaches even if the sea is rather cold. What time ofthe year were you there? It was the end of the summer – August time but still very nippy! I don’t suppose the Irish Sea is ever going to get that warm! We are going to Ireland in July next year but to the west coast. 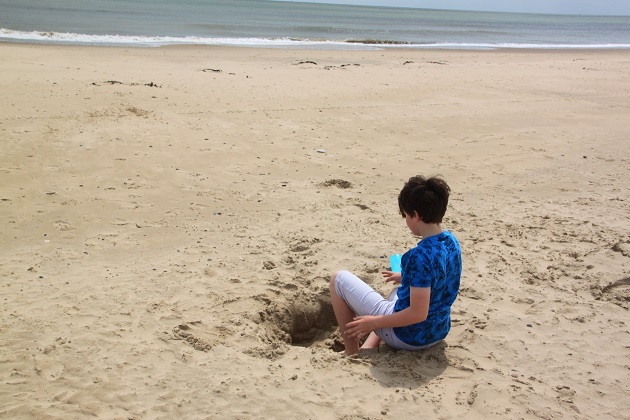 In my experience and years of childhood holidays at various points on the east, west and north coast of Ireland the sea is never warm – even on the hottest day!! Joy, what a beautiful beach and place to relax after jail time! It was the perfect thing to do after all that creepiness Pam – a beach like this couldn’t help but lift the mood! 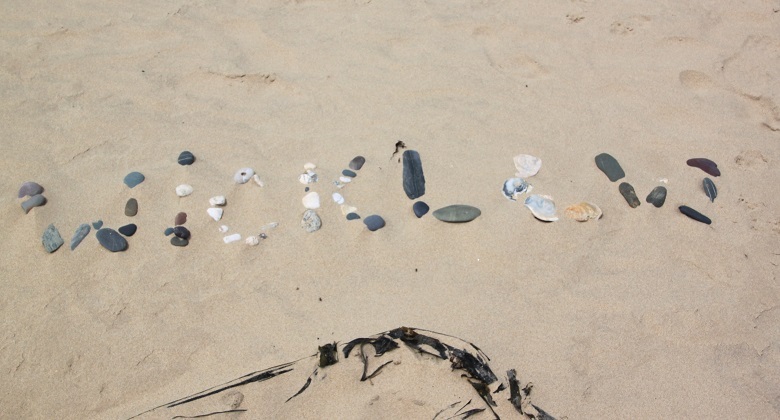 Looks a lovely peaceful beach and I like your pebble / shell Wicklow creation! 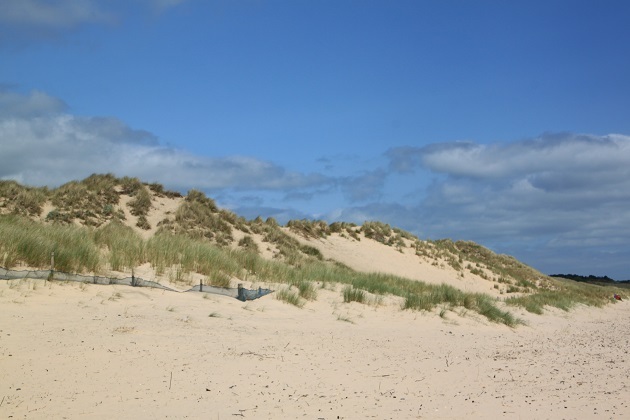 It was beautiful, wide open spaces and plenty of golden sand and dunes to explore – we loved it. I loved that shell creation too but I have to admit someone else made it!! Oh my goodness, what an amazing looking beach. I would never have guessed this was Ireland. Thank you so much for introducing me to this wonderful area. Yet another special place to add to my wishlist! 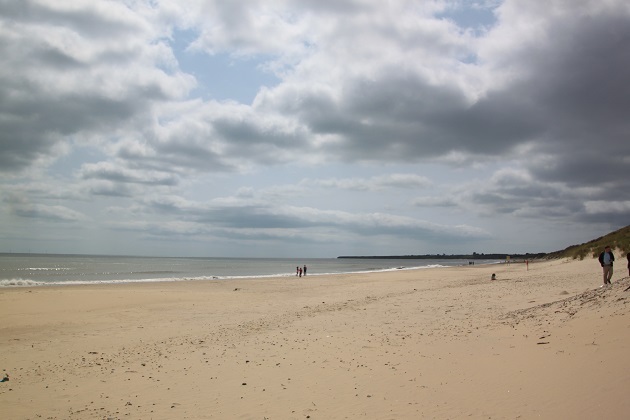 This is a gorgeous area, this beach in particular was just stunning – although I can’t vouch for the sea temperatures!! Freezing though I’m sure! 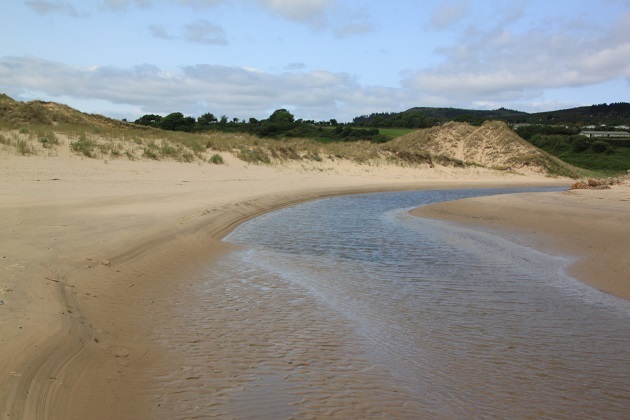 There are some incredible beaches all over Ireland Rosemary – the north coast is particularly stunning. This place on the east surprised me – I didn’t expect those golden sands in this area but it was a lovely surprise after all that creepiness in the morning. 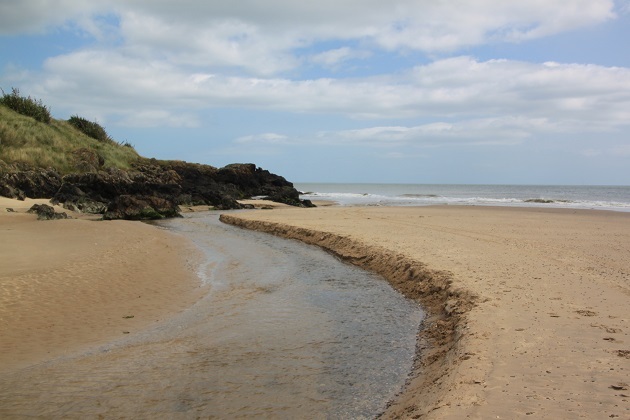 You’re definitely right about those water temperatures – even on the hottest summer day on an Irish beach I’ve never experienced anything but perishing cold in the water! !